Joni and I spent almost 24 hours en route to the US, but because of the time zone, I actually arrived in Texas on September 13th. My mom picked me up from the airport. It was such an exhausting journey. My brain never works right for the first few days after the trip back home. Jet lag kills me! Aside from the 8 hour layover in Japan, the flight was pretty painless. We were on a night flight so it was nice and quiet and most people slept. I drifted in and out of sleep, but I have a difficulty sleeping in airplanes. We were really fortunate… we asked to be put on a wait list for closer seats and we ended up being bumped up into the first row of economy so we had ample leg room. So you get a bonus picture because I technically took that picture on the 13th due to the international date line. I had lunch with my mom and Nana on Friday and then my mom took me to pick up my rental car afterwards. The women working there weren’t overly friendly or helpful. They just gave me the keys to the car and said I could find it by pushing the lock button and listening for the horn. They didn’t inspect the car with me or anything. When I got to the car, the inside was dirty. 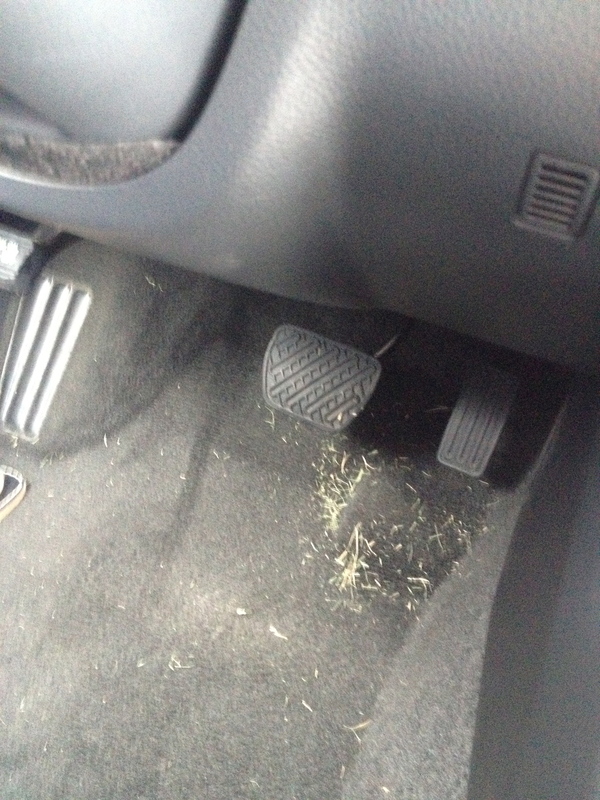 There was grass all in the floorboards. I knew I could have complained then and there, but I really liked the car they gave me so I figured I could put up with the grass.